Standalone - Page 8 - GTS - Trailer - Trucksimulator24 - Die freundliche Trucksimulator Community rund um den Euro Truck Simulator 2, Euro Trucksimulator, German Truck Simulator, 18 Wheels of Steel Reihe, Extreme Trucker und den ZModeler. Antworten im Thema: 77 » Der letzte Beitrag (Jan 12th 2014, 7:41pm) ist von GPunkt™. Hello folks, i have rewrite an overweight trailer to standalone. Porušení zákazu bude hodnoceno,jako porušení,AUTORSKÝCH PRÁV"
eng zusammen gearbeitet haben und auch für das vertrauen mancher User. Food-Tanker mit Biermarken. Echte Kennzeichen mit Herkunftsland, Stadt und Gründungsjahr der jeweiligen Brauerei. Trailers food for GTS/ATS and UKTS edited by krokus. Mód nahrazuje pouze pevné návìsy se sušeným mlékem. 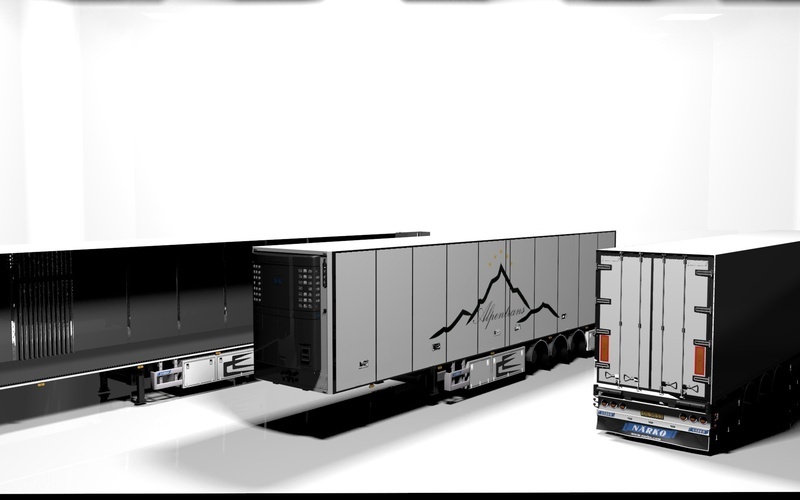 Mode replaces only the cargos for drymilk of reefer trailers. Zkopírujte soubor .scs do Documents/German Truck Simulator/UK Truck Simulator/mod. Copy the .scs file to Own Documents/German Truck Simulator/UK Truck Simulator/mod. Mód byl testován pro GTS verzi 1.32 a UKTS verzi 1.32. The mode has been testing for GTS version 1.32 and UKTS version 1.32. Original design and copyright: SCS Software. Original design and author trailers: ? Copyright for themes 2012 by krokus. Krone Profiliner nordic standard spec. Igorek, Czak, Kamaz and me (Bora). Ventyres (tweaked and made standalone by me (Bora)). Replaces the Dry milk cargo (that part was easy for you to handle ). Feel free to edit it to your own likings, skin it and if you feel like it then share with the community.